Neckz brand latex eyewear retainer cord. 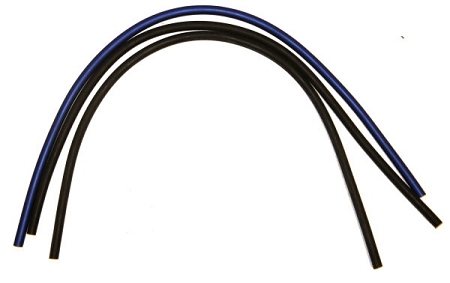 3 pack of cords: 2 black and 1 blue. Just one piece, no broken or missing parts to mess with and no bacterial build up or residue. Easy to attach, just wet the ends of glasses and slip em' on. As air gets trapped it helps aid in flotation. NECKZ are FDA approved and made in the USA. Don't lose your expensive eyewear out on the water!